Mimmo Centonze was born in Matera in June 10, 1979. At the age of 14 begins to copy with remarkable rigor some of the works of the great masters of the past and, curious to learn their technical and theoretical secrets, was immersed in the study of the most authoritative painting treaties and in the direct observation of important works in major museums in Rome, Florence, Venice, but also in London, Paris, Amsterdam and New York. He is also dedicated to engraving and study of drawing and painting “from life”, especially the study of the human figure, also developing an interest for the portrait. His works have been exhibited in the following museums and public istitutions: at Palazzo delle Esposizioni in Rome, at Venice Biennale and Fondazione Cini in Venice, at Expo, Permanente Museum and PAC – Contemporary Art Pavilion in Milan, at Palazzo Reale and Fondazione Sandretto in Turin, at Festival dei Due Mondi in Spoleto, at Palazzo della Ragione in Mantova, at Palazzo Lanfranchi Museum and Madness Museum in Matera, at Museum of Contemporary Art in Lissone, at Montemartini Museum in Roma, at Mafia Museum in Salemi, at MUMI – Michetti Museum in Francavilla al Mare. 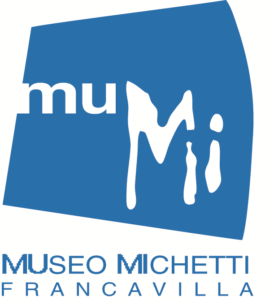 In 2009 the first solo exhibition “Mimmo Centonze. Lo spazio e il nulla”, conceived and curated by Vittorio Sgarbi, with texts by Oliviero Toscani and Marco Vallora in the spaces of Il Mappamondo – Modern and Contemporary Art Gallery in Milan. In 2010 he win the “Premio Speciale Fondazione Roma“, an important recognition that is awarded to an artist particularly significant at the discretion of the Rome Foundation and its Chairman, Prof. Emmanuel FM Emanuele. 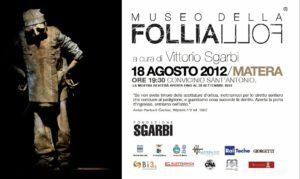 In 2010 realizes the famous portrait of the Mafia boss Totò Riina, kept in the Mafia Museum of Salemi in Sicily, inaugurated in May of that year by the President of the Italian Republic Giorgio Napolitano. In 2011 he exhibited at the LIV International Art Exhibition Venice Biennale in the Mafia Museum in the Italian Pavilion at the Arsenale in Venice. In 2012 Palazzo delle Esposizioni in Rome dedicates a monographic exhibition to the artist, giving him the honor of being the youngest international artist, both of the present and past generation, to inaugurate a solo exhibition at the prestigious venue, with over forty works, including famous masterpieces and new works created for the occasion. In 2013 in Matera the solo exhibition “Sheds in shed”, promoted by the Superintendence of the Historical and Artistic Heritage in collaboration with the University of Basilicata establishing a form of Contemporary Art devoted to the study of the works and the activity of the artist. In 2015 his work is exposed in Venice at Fondazione Giorgio Cini in Luciano Benetton’s global art project “Imago Mundi: Map of the new art” that includes artists representive the five continents, and in Milan at Expo in the exhibition “The treasure of Italy” selected by historian and art critic Vittorio Sgarbi among the best artists from the fourteenth century until today. In 2016 in Dubai the solo exhibition “Mimmo Centonze. Large format”, in the spaces of Contemporary Art Gallery Artissima Art Gallery.